UPS has expanded its UPS Worldwide Express package service to reach 124 countries and territories, providing an earlier delivery option for customers to more locations. The express giant now claims to reach more countries and territories with express midday than any other carrier. The UPS Worldwide Express service offers guaranteed delivery in 1-3 business days by 10:30 a.m., noon, or 2 p.m., depending on the destination. In 2017, UPS Express service was added to 7,000 new postal codes in 57 countries and territories. 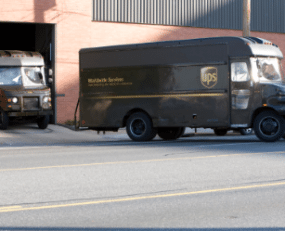 “Our international value proposition is to offer a powerful global network and portfolio that connects buyers and sellers through seamless cross-border movements,” said Jim Barber, UPS International President. Brazil is one of the 10 countries in Latin America to expand service. Industrial manufacturing and automotive customers depend on UPS Worldwide Express service for critical parts used in production lines. India also now has the expanded offering from UPS. It serves customers there in sectors such as electronics and industrial machinery. In Asia Pacific, South Korea is one of 14 countries included in the expansion of the UPS Express service. As South Korea continues to lead the way in the auto electronics market, the UPS Express expansion will afford automotive aftermarket manufacturers and distributors located in major industrial areas a competitive edge by connecting them more quickly to other partners across the supply chain. Customers in Europe will benefit from faster shipping time to growth economies in Asia and Latin America. UPS is committed to investing $2bn in its European network by 2019, and this investment has already made UPS faster on more than 350 city pairs between 27 European countries. Overall, the UPS Express portfolio features UPS Express Plus morning delivery to 56 countries and territories, UPS Express midday delivery to 124 countries and territories, and UPS Express Saver for end-of-day delivery to 220 countries and territories.